Staff win Prestigious LDA Award! 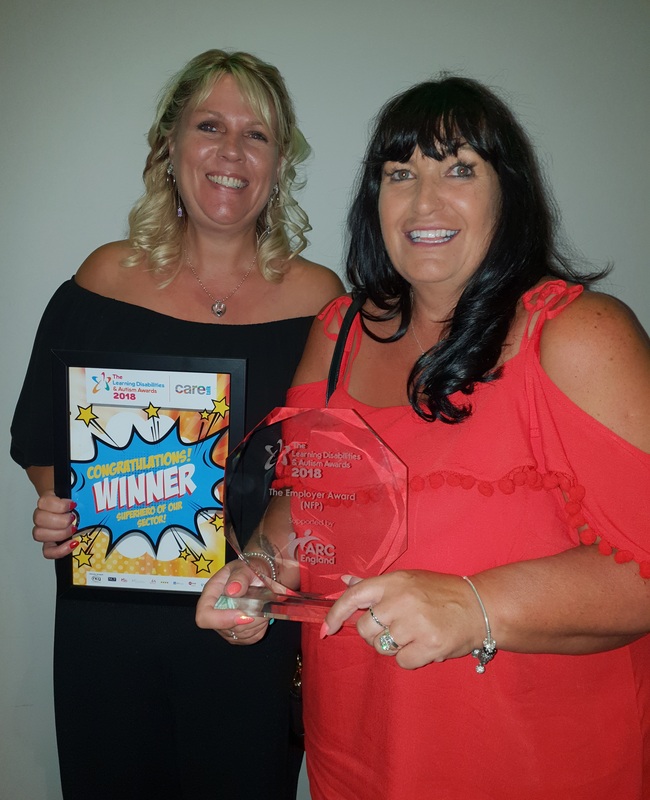 Deputy Manager Nadine Suitor and Locality Manager Sarah Smith have won the National Learning Disabilities & Autism Award in the Best Employer category! The ceremony, on Friday 29th June, saw a team of Walsingham Support staff and people we support, including Regional Director Allison Alford and Chair of Trustees Heather Benjamin, travel in support and in hope that their hard work over the years would be recognised. 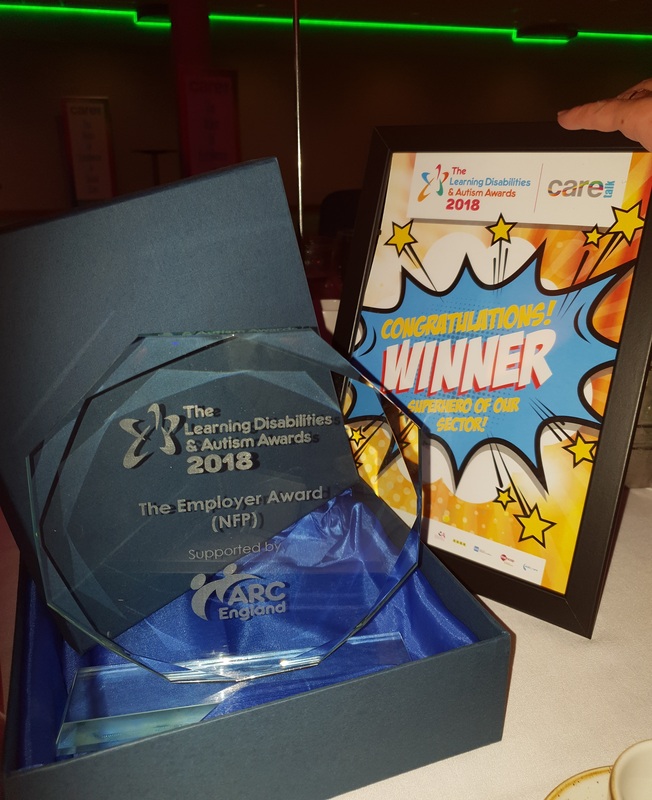 The Awards celebrate excellence in providing quality care and support for people with learning disabilities across the country. Their Crummock Road service has been delivering excellent support for years, resulting in a rare 'Outstanding' rating from the CQC recently. The service gives tailored residential support for adults with learning difficulties, autism, mental health and complex needs. "The whole experience was amazing, from the judging day right through to the gala dinner awards night. It's great to feel that all the hard work and dedication provided by ourselves and the team has been recognised." "Walsingham Support’s passion and drive to enhance the lives of people they support was inspirational. We felt they were a dynamic team who focussed on making a tangible difference." Sarah and Nadine have been with Walsingham Support for 21 years, starting out as part time Support Workers.